For over 2,000 years tea has invigorated the lives of people across the globe. 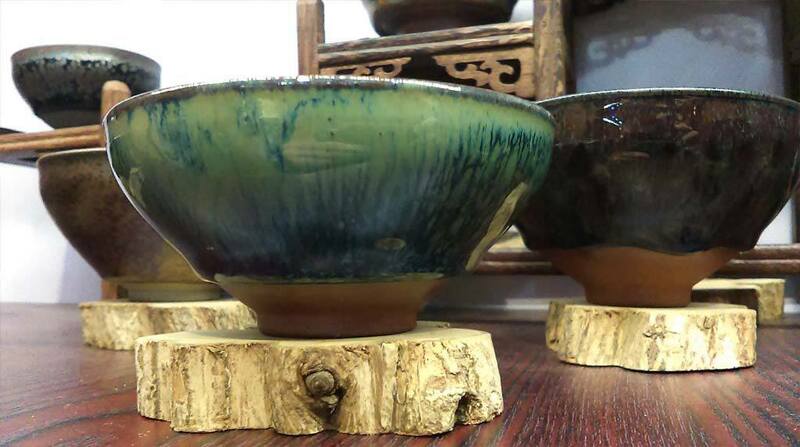 This ancient drink is available in many different styles including: tea bricks (pu’er & black), powder (Japanese Matcha) and even a low chlorophyll version, currently popular in China, known as An Ji White tea. Originally tea was known as a bitter medicine, used mainly by mountain sages. Then over the course of centuries it still retained its reputation for making you feel better but its taste slowly improved through good cultivation. Does it Really Help with Fat Loss? So while it’s not time to go replacing water with Green tea there are studies out there that show that green tea’s fat burning legend is rooted more in fact than fiction. Chinese Secret to a Great Cup of Green Tea? With premium loose leaf teas showing up at our local grocery stores, we often hear questions on how to prepare a good cup of tea. So here are few steps to get you started. 1) How Much tea should I put in my cup? Without a tea bag, it’s often a mystery how much of your tea leaves should make it into the bottom of your mug. Most sources will tell you that you want to brew anywhere from 3 to 7 grams of tea at a time. (Live a little – try out different strengths to find your sweet spot). So to get close this amount you can aim to cover the bottom of your cup on a single layer of tea leaves. This will give you a good starting point and you can scale back from there. 2) How long should I steep my tea? 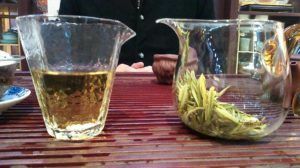 In China, with Green tea, many enthusiasts will leave the tea in their mugs for as long as they are drinking their tea, they let the leaves rest in the hot water like a miniature forest sprouting in their cups. In ancient times you took your tea cup with you (in a small bag) when you went out so you would be ready for tea time anytime! 3) How do I stop my tea from being bitter? Most tea is bitter from tannins and other organic compounds found in the leaves. Older tea leaves which are picked after the spring growing season will typically have more tannins. Therefore if you’re looking for tea that won’t be bitter try to shop for smaller tea leaves with no more than 3 leaves per cluster. The next step is to ensure that you brew your drink at the perfect temperature. Green tea’s optimal brewing temperature is lower than red & black tea. This will be about 160 to 170 degrees Fahrenheit. Pro Tip: Boil your water completely then let it sit for about 2 minutes at this point you will be close to the perfect temperature for green tea. Now that you’ve learned about the fat burning benefits of tea and how to brew an excellent cup, you can begin exploring the tea in your city, one tasty brew at a time. Call (561) 776-0116 for a Free Consultation.